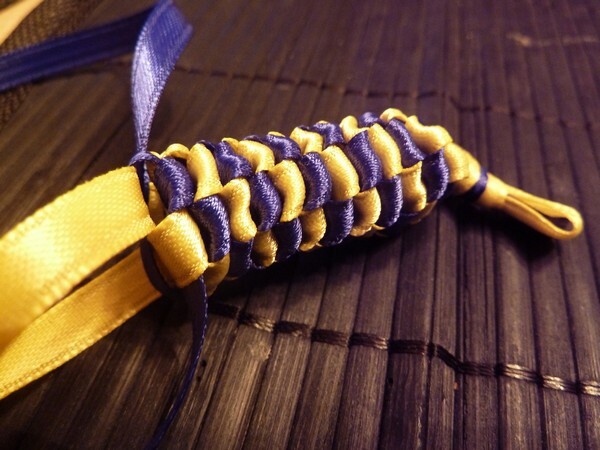 For this year's graduation season, I wanted to try out a new ribbon lei type - the lanyard lei. Like most of the leis I've tried, this was also inspired by a lei from Sak's mom. Now, I thought this would be easy, seeing as I've made plastic lanyard keychains every single summer camp as a kid (shoutout to Mt. Hermon!). 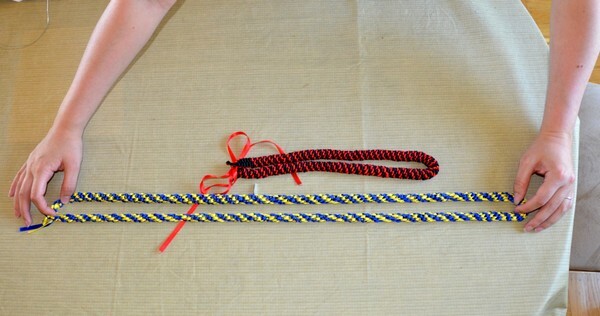 This lei uses the spiral lanyard method exactly as you would with the plastic lanyard. 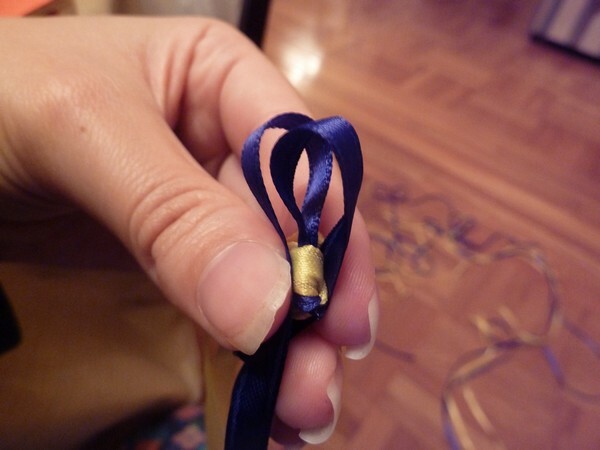 To start, unravel two entire spools of ribbon in the two colors you would like. 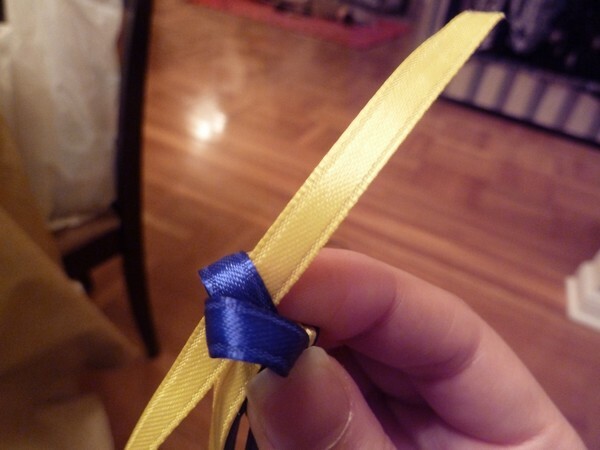 (I used 1/4 inch 50 cent ribbon from Michaels, 10 yards per spool.) 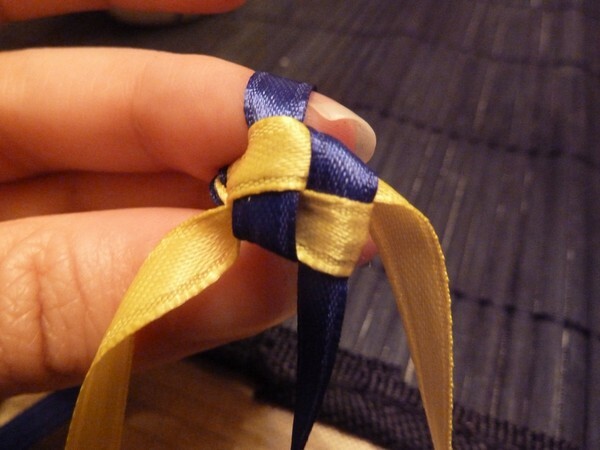 Fold each 10 yard ribbon in half, and knot both ribbons together, for a total of 4, 5 yard sections. 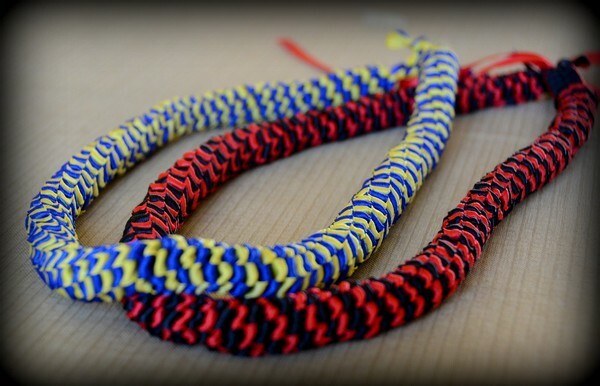 Two of each color. Now starting the chain is hard. There's really no easy way to do it, but just try your best! 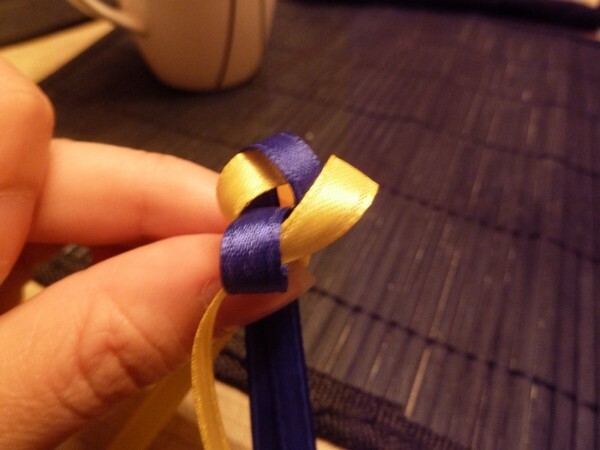 Take two of the same colored ribbon, and make loops in opposite directions. Try to envision making a box. 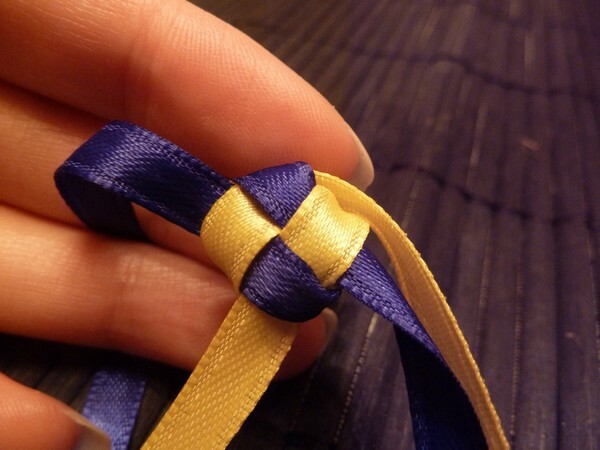 Take the yellow ribbons and weave them over and under the blue loops, working in a diagonal direction. 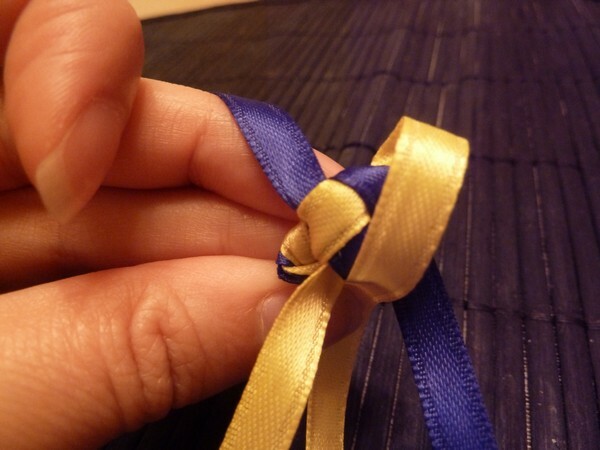 Pull all ribbons to form your first "box". Makes no sense, does it? Let me try with a diagram? If not, try youtube? 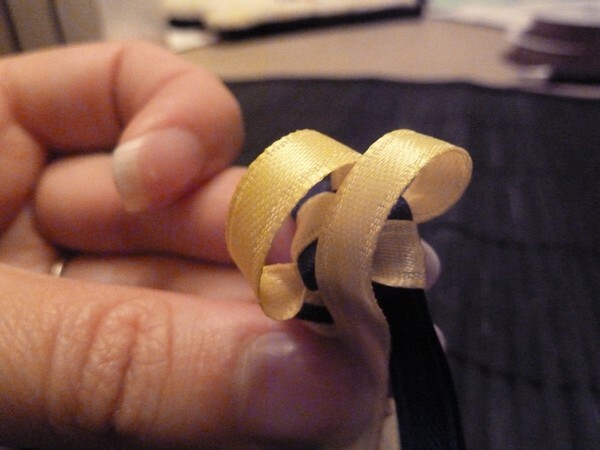 I'd fold ribbon 2 over to ribbon 3's position, and ribbon 3 over to ribbon 2's position. 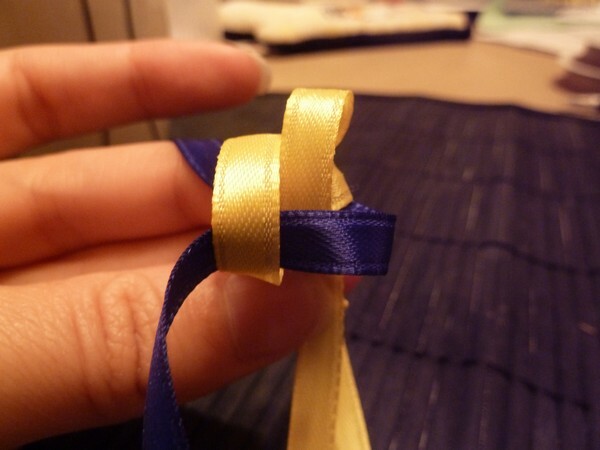 Now take ribbon 4 and go over ribbon 2 and under ribbon 3 to get to position 1. 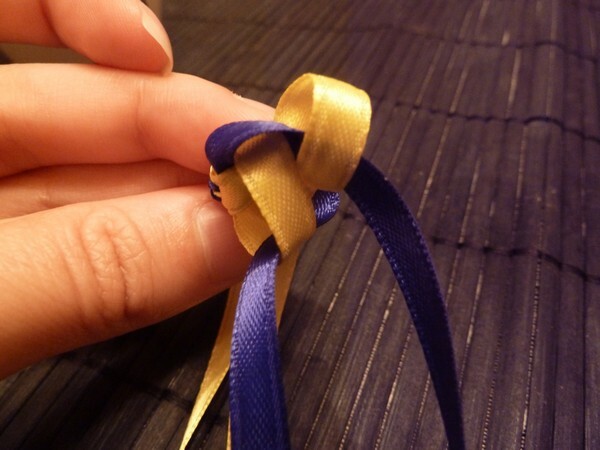 Then take ribbon 1, go over ribbon 3 and under ribbon 2 to get to position 4. 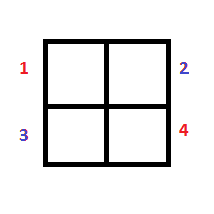 Pull all (loosely) to form the box. But eventually a pattern will start to emerge! And then you'll run out of ribbon and be finished! No worries, because it stretches A TON. 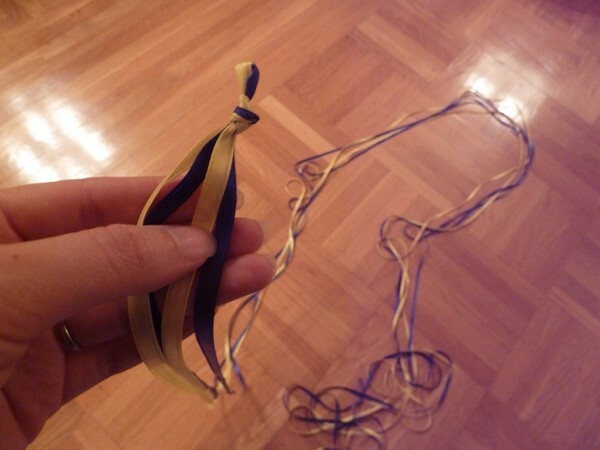 This is a very durable lei as well, it can't be easily torn apart or anything. The blue and yellow lei was for my uncle, who is now Dr. Uncle after having received his Phd from UC Davis! The red and black one was supposed to be for my San Diego grad cousin..but I didn't finish it in time for the ceremony T_T" Maybe she will get her doctorate too. Then I'll be ready, haha. It looks so pretty! I totally was aiming to make one of these too (because I remembered you mentioned it in your email) but I didn't have time. I did try my hand at making a two colored puffy spiral one - it came out pretty well so yay! Lol. Cannot wait to try this! :) Thank you! 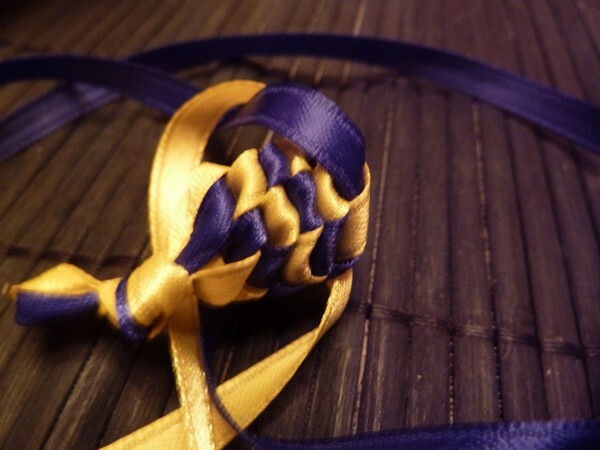 i vaguely remember doing this knot when i was a wee one. you know, back when i dabbled in crafts. i'ts been at least 25 years. a quarter century. wow.